Every girl will get to participate in two workshops as well as a Tech Zone at SheTech. Please see details about each workshop below. Interactive Programming and Game Development that will work wonders! Web Development basics that will wow your crowd! Crash! Boom! OH NO! That didn’t go as planned… Now what? What do you need to protect yourself from privacy leaks and cybersecurity attacks? Using Vernier LabQuests, students will test three mystery samples of water to gather data about which sample will support rainbow trout. Have a dream, but not quite sure how to get there? Uncertain how to think about anything beyond today and right now? Does thinking about the future…bore you or terrify you? This workshop is designed to give you a hands on experience to help you think about what you want to accomplish and help you confidently move in the direction of your vision. Come and learn how to easily lay out a plan to follow. Then share ideas about how to prototype an app for tracking progress. Did you know that working in technology is not just coding? You don’t have to be a scientist or mathematician, come learn about how a curiosity about human behavior can propel you into important research and design roles in technology. Do you know Python? Here is your opportunity to explore this free/opensource programming language. We will start with a basic (boring) camera program. Using Raspberry Pi as the computer, you with work in teams to create a custom photo booth application. Some programming experience is necessary, but you do not need to be an expert. Whether in school or career, we believe following your passions and interests inspires happiness and success! And although it sounds easy, it can sometimes be difficult to identify exactly what our desires are or how to take them to the next level. In this dynamic workshop, students will learn to identify interests and passions, and discover how to find opportunities, to practice and demonstrate them. Get ready to be one step closer to being prepared for University and Beyond. Working with Raptors will focus on different career options in wildlife biology and conservation. We will also talk about the science behind animal training and how we teach our birds to fly and come back to us. Finally, you can get nose-to-beak with two of our avian educational ambassadors and learn what makes them so cool! The Future is Powered by STEAM! Turn your love of video games into an exciting—and lucrative—career! Whether you love the world of entertainment, or feel the call to help others, your competitive edge will be put to good use. 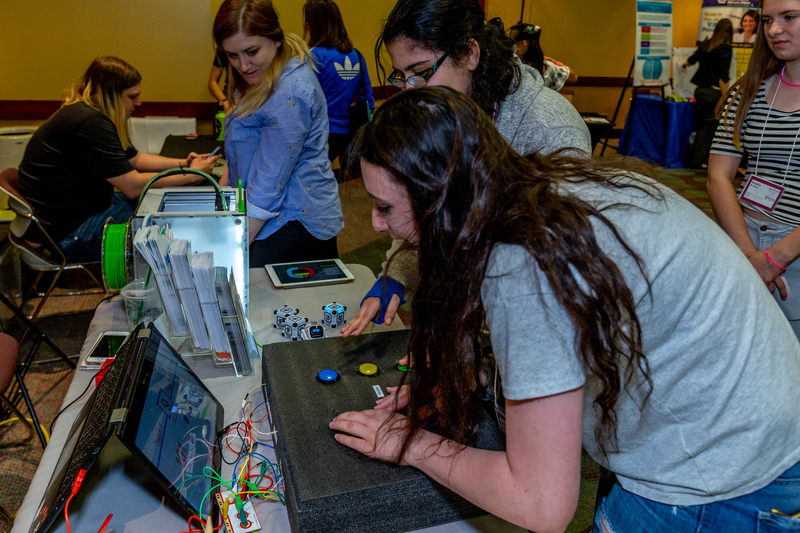 Interactive programming and video game design is the engine behind the games we play, the tools that are furthering medical technology and training, and so much more. 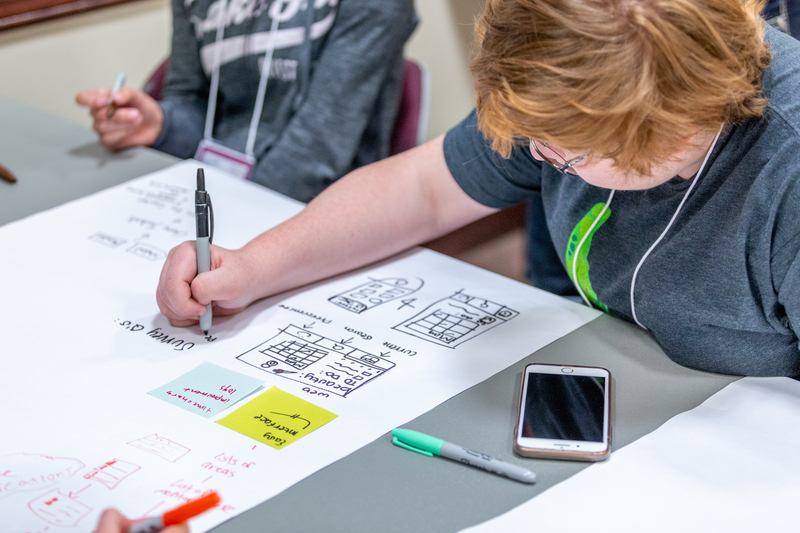 Join us for a fun and meaningful workshop where participants will learn interactive programming and game design fundamentals and will get to challenge their friends in multi-player video games. Dive into the exciting world of online information by working in teams to create your very own working website! Join us for a fun and interactive workshop where participants will learn and apply the coding and design elements needed to captivate audiences. Using basic HTML and CSS, participants will understand processes of planning and implementation through building site maps, wireframes, content and design and will experience the roles of programmer, developer, and UI/UX designer. It’s a great way to kick off the new year, new hobby, or even new career! 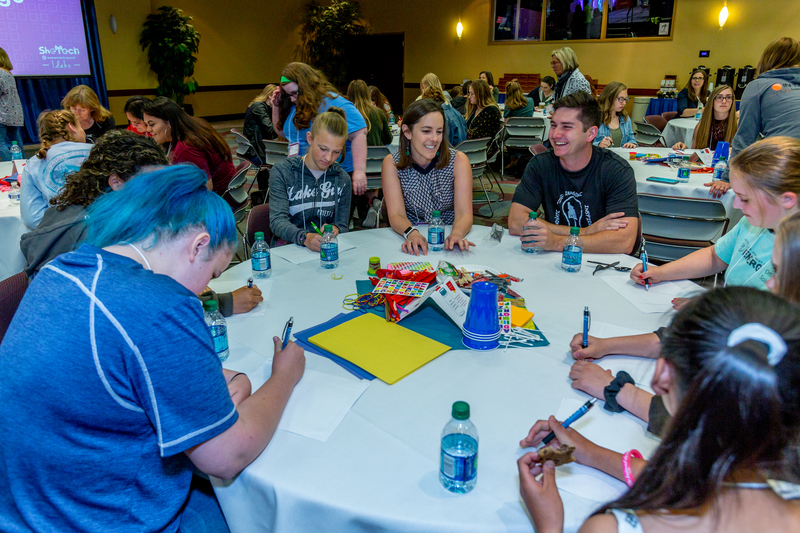 Hack the Gender Gap is a workshop focused on introducing young women to the exciting and up and coming field of Cyber Security! Cyber Security impacts everything, with a multitude of career paths offered in the industry that allow professionals to truly customize their careers around both their passions and skills. Everything from ethically hacking networks, reacting to incidents and breaches, understanding new cyber threats and deploying mitigations to defend against them, to even understanding risk management and how to help companies develop their cybersecurity posture, this industry is booming and ready for #girlpower! A workshop dedicated to an overview of VR and hands on experience with a Vive. Build a tiny robot using micro motors, popsicle sticks, glue guns, batteries, zip ties, and tape! Learn more about motors and circuits and take home your very own pet robot. Discussing problem solving within the STEM realm. Including a hands on activity and robot demonstration by FRC team 5461 V.E.R.N. We want our online purchases now! With companies like Amazon providing 1 hour delivery times, other online retailers are scrambling to keep up. Careers in robotics and industrial automation are two of the most in-demand fields for new graduates. Learn how automation is getting products to consumers faster. Learn about robotics with a hands on electronics activity you get to take home. Students will receive an overview of virtual reality, what it is, how it works, and how to easily access it. Then, using their own phones and a foldable virtual reality set, students will experience VR applications first hand and begin to see the unlimited possibilities for VR in everyday life. Students will also create 360 photos on their own devices and learn how to upload them to Google Maps in Street View. Students are asked to bring their phones to this workshop. The VR sets will be provided. Come learn how programming is more than just writing lines in the computer! This is a chance to see how engineers can use software to make physical objects work. This is a hands on interactive demo in which participants will learn how to program robots to solve a series of different problems. Before you can solve a problem with technology, you must first understand what the problem is. In this session, you will learn to identify problems from the perspective of the customer. This is one of the most critical parts of product development and can ultimately determine whether a product is successful or not. This will be a fun exercise that will require only your brain to sift different customer perspectives to help solve their problems. In this workshop we will talk about privacy and what is means to different types of users, i.e. children, minorities, etc. We further talk about cybersecurity importance and its relevance in our daily lives and what we can do as users to protect ourselves. Building technology for real people requires knowing more than science and engineering. In this workshop, you’ll learn how to use creativity and design to solve for real-world problems. Scholarship funds are out there and this interactive workshop will help you find them. You’ll walk away from this session with increased knowledge about personal statements, essay writing, requesting letters of recommendation, and an action plan about what you can do to ensure that your application stands out from the rest. 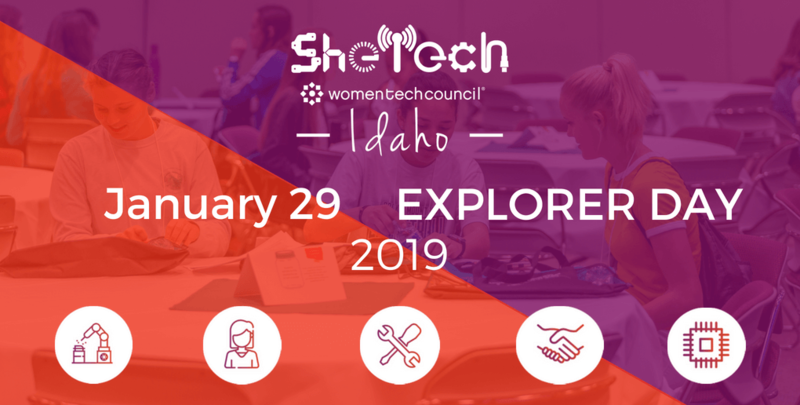 Registration is now closed – however we will be taking walk-ins, so if you’re still interested in SheTech, we look forward to seeing you there! Please remember your informed consent form.